Guest Post by Kerry Peresta + Spotlight on The Hunting + Contest! I’m delighted to welcome Kerry Peresta to The Book Tart! I asked her to tell us about her experiences being a southern belle on the east coast. Oh My Goodness! I love her voice. Her experiences made me wince and laugh equally. 🙂 Ha! I’m a fan of Stephanie Plum novels and first person snarky heroines. 🙂 Kerry’s novel The Hunting is on my TBR pile. Her girl Izzy looks like a hoot. I can’t wait to read it. Have you ever heard of a genre known as Flintlock Fantasy? No? Good, me either. 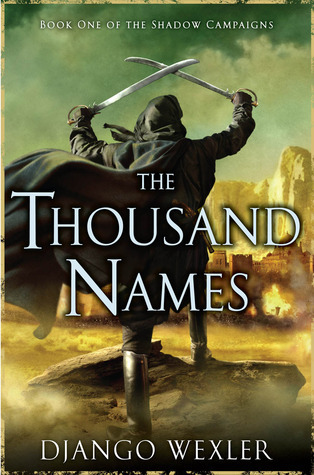 That is, until I read a book called The Thousand Names (by Django Wexler). Which introduced me to an insane blend of . . . wait for it . . .flintlock muskets and . . .magic. See? Flintlock Fantasy.